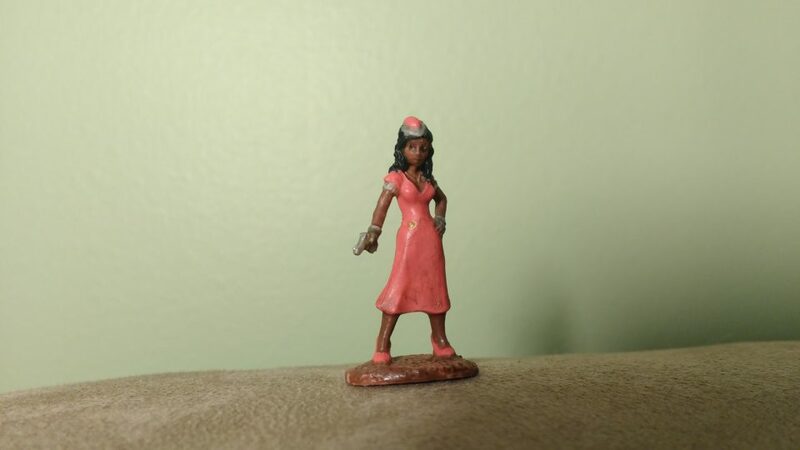 One of the first miniatures from the Reaper Bones III Kickstarter that I painted was the Deadlands Noir Femme Fatale. I was pleased with the fact that the eyes are visible… I’ve started a new strategy, painting on the iris after using the DIP method so that I can wipe away mistakes and start over without marring the underlying paint. The results are generally better but still not as good I’d like.